Medal of Honor Warfighter is out in stores now. The game follows the tale of US Tier 1 Operatives as they plow through some of the major terror hotspots around the world. This includes rescuing hostages in the Abu Sayyaf infested Basilan in the Philippines to pirate hunting on the Somali Coast. As special forces operatives attempt to hunt down the Big Bad Evil Guy behind the distribution of explosive chemical, PETN. The game will be running on Frostbite 2. The game engine which made Battlefield 3 look so cool. Multilayer will bring the gamers head to head against some of the best (and the worst) players online. There is an emphasis in the element of teamwork with the introduction of the “Fireteam buddy” system. So don’t start feeling Rambo here. The game is available on the Xbox 360, PlayStation 3 and the PC. The limited edition includes Medal of Honor Warfighter Zero Dark Thirty Map Pack (the highly controversial compound map which Osama bin Ladin spent his final hours) and Medal of Honor Warfighter The Hunt Map Pack at no extra charge. For more information pertaining to the game, visit the official Medal of Honor official website, Facebook, or follow the series on Twitter. Keep up to date on the latest EA games and news in Singapore. Check out their Facebook or follow them on Twitter. 2012 has been a great year for retro games. Not have we seen the return of Jagged Alliance, XCOM also made a return on both the PC and on consoles. This is after years of games with flashy graphics failed to impress veteran gamers who still hold onto gameplay as their holy grail. XCOM: EU seem like the right game and not only will it re-interest DOS era gamers, it will also wow the new generation of gamers. XCOM: EU is developed by Firaxis Games who are also the developers for the Civilization series. The team is no newbie when it comes to streamlining games while adding more depth. XCOM: EU is of no exception. While the concept behind new and old XCOM has not changed, the gameplay had a total overhaul. Gone were the days where you have to do mundane stocktaking. Checking whether you have enough weapons, ammunition and medkits to go round. Instead the genius behind the remake was to remove the accounting but still keep the urgency to get the right equipment at the right time. Players have to make decisions on how they want their soldiers to progress. Unlike the old game where the soldiers adapt to the player’s play style, player get to dictate the strengths and weakness of each trooper on the roster and play them to their advantage on the battlefield. Players also get to change the outlook of each trooper. From the colour of their armour to the hairstyles and facial hair of each and everyone of them. Thus, giving the players a personal relation with each and every trooper. It can be a heartbreaker to see a personal favorite getting gunned down during an intense firefight. A death is permanent death in this game. So make your next move really really wisely. The special abilities is what makes the game. No longer do players need to deploy mass numbers against the alien invaders. Since the Action Point system got cleaned up as well, the presence of special abilities is needed to make up for the difference. It also makes each and every trooper look cool. Surely, if this is an FPS, the aliens will be complaining that the humans are broken. The abilities goes all the way to mind control. I kid you not. XCOM: EU is probability the game which defines 2012. It charms and attracts the player to partake in the secret activities of XCOM: EU as they struggle to save the world from the alien threat. It absorbs the player into the world and there is always appetite for “one more fight”. Finally, a remake that do justice to an old classic. Only expectations of it being a clone of the 1994 game is going to ruin the feel of XCOM: EU. Updates: Always want to test your alien busting skills against a human opponent? Now is the chance. 2K Games Asia and Alienware Arena Cybercafe at Dhoby Ghaut MRT (formally known as JCube Cybercafe) will be hosting a mini tourney. Limited edition XCOM EU T-shirts and S$20 shopping vouchers to be won. The event will be held from 3pm till 7pm. Check out their Facebook page for more info. Yep, you heard that right. We’ve been a little quiet on the cosplay side of things these couple weeks because we’ve been working hard on preparing a little cosplay related surprise. Thanks to the very gracious support of our friends from Fish & Co. and RobotsGoneBad, we’ll be organizing a Cosplay Zombie Walk this Halloween. We’re bringing a slice of the international brains-chompin’ scene to Singapore, and you, cosplay friends, are all invited to the feast! 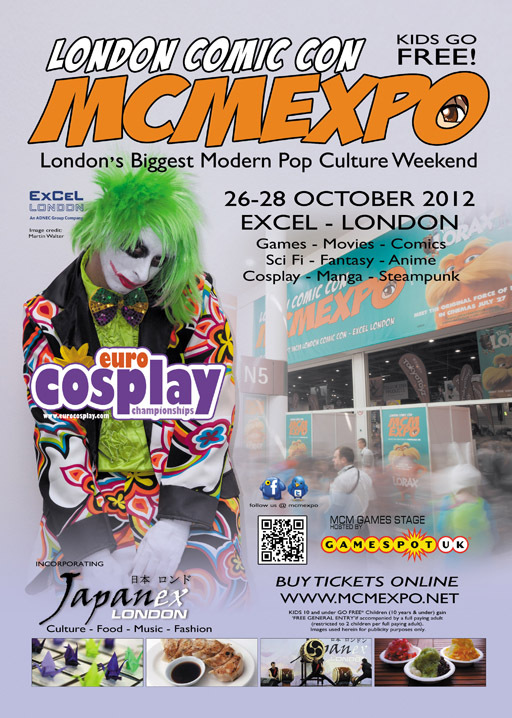 Just don your favorite cosplay costumes and wigs, and let our make-up team doll you up like the undead. If you’d rather not be a zombie for the night, feel free to come as any other creature of the night or an zombie slayer, ‘cos that works too! There will be a cosplay pageant where pre-registered cosplayers can stand to win prizes if you’re the best dressed (as voted by restaurant patrons), a quiz where you’ll get to win dining vouchers sponsored by Fish & Co., and non-stop music by Singapore’s one and only anime and game music DJ, DJ Rainyrhy! Here’s a link to the sign-up page on Facebook. 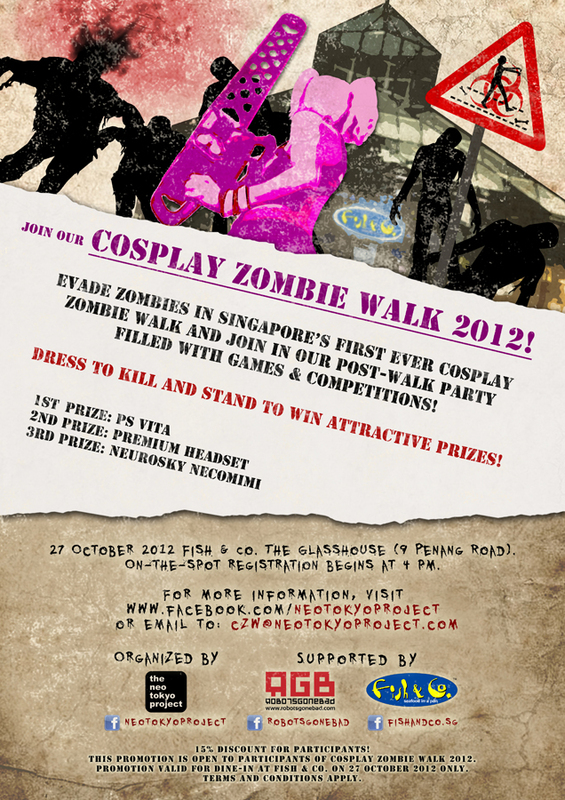 Do sign up early, as places for the zombie walk are limited. If you are a gamer in from the 1990s or fans of the Wing Commander series and Privateer, you will have definitely heard about Chris Roberts. Now, he is back on his old trade, making a new Space Sim and he is asking for your support after ditching game publishers. 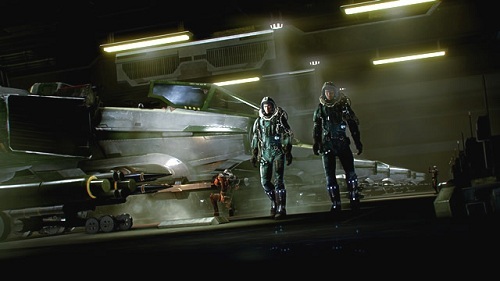 Star Citizen will incorporate elements from EVE Online and an ever growing universe. The game is also going to be an “online game” and the gamers will have the opportunity to mod and contribute to the game universe. Who knows what else Roberts might pull out from his sleeve in the near future. This might be one hell of a sandbox game. Check out Roberts Space Industry to pledge your support or find out more about game. The game is dead set to be a PC exclusive. Maybe, console gamers should try bribing him with cookies. Alpha and Beta builds might be available in late 2013. If you are going to sit out for a full release, we can only assume that it should be out in 2014. 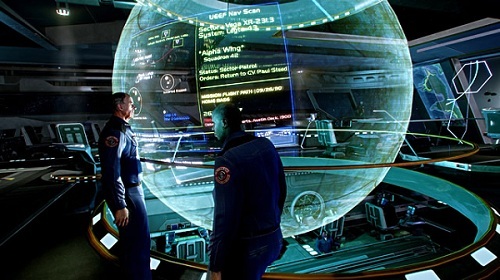 Updates 19 Oct 2013: Star Citizen is now available on Kickstarter. This is after the original funding website went down on opening day. If you are a gamer, Valve wants you. Recently Valve has been making waves in the gaming industry and now, they are looking for Playtesters. The company behind hit titles like Counterstrike, Portal and Left 4 Dead are looking for gamers to test out their games. The playtesters will also get a chance to try out hardware prototypes that are not available for consumers. Currently, Valve is only accepting gamers residing in Seattle/Bellevue area, but the company suggests that they will be accepting international support in the future. As for now, the carrot is only available to gamers residing in America. If you have missed the virtual tour organized by Hokkaido Railway Company and Vivid Creations Pte Ltd, no worries. We bring you some snippets on what happened on Saturday. Hokkaido Railways Company gave a couple of suggestions on how best to use the Hokkaido Rail Pass only available to tourist to get around the region. Both catered for people with different holiday plans. A 7 day travel itinerary which visit various food locations, local hot spring in the middle of a lake and natural landscapes. And a shorter 5 day, which includes some winter sports under the beautiful scenery and try not to give Hakodate Illumination a miss. Traveling by train is the safest and fastest way to get round the various tourist hotspots around Hokkaido! Stay tuned on Hokkaido’s Facebook page. Check out other examples from JR Hokkaido on their website.